Melin was founded by Brian McDonell and Corey Roth as a company with the goal "to create a new category of luxury headwear with focus on details, style and innovation." Each melin hat comes with a leather travel box, a certificate of authenticity, and is guaranteed to be made from premium materials. Brian, who serves as the President of Melin, and Corey, who is the company's CEO, are excited to introduce the brand at Agenda on July 25-26. Melin will be at Booth #L3 and the team will be eager to meet with select retailers looking for genuine products that are made with attention to detail. "Melin has actually been in development for over 3 years now and it’s taken a lonnnnng time and a lot of sacrifice to get here," explained Melin Founder and CEO Brian McDonell. "Corey and I started working on this from our living rooms...We would switch off driving to each other’s places after work and stay up all night writing and re-writing the business plan." We reached out to Brian and asked him about building and growing Melin over the next few months and beyond, how the company has quickly garnered an amazing team of industry veterans, and how it feels to be settled into the company's new office in Laguna Hills. 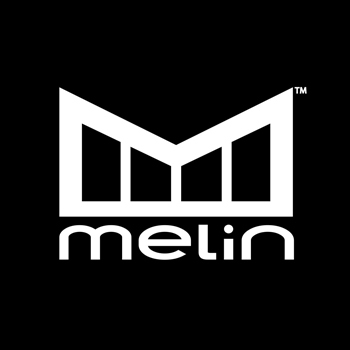 Melin's unique product line features "the best crafted, finest quality and most prestigious hats ever produced." What was the initial inspiration in starting a luxury headwear company and what’s unique about Melin? I have been a long time hat collector and in my early 20’s I was a sales rep for Split USA, lucky enough to work with industry beasts, Jim Watson, Brian Garofalow, and Dave Ridgeway. I started to make some good money and I am never caught dead without a hat on, so as my money went up, I wanted the quality of my wardrobe and the brands I wanted to affiliate myself with to go up with me. After searching high and low for a truly designer premium baseball style hat, I realized they didn’t exist and that is when the light bulb went off. After further research of the real trend setters and tastemakers, while driving their $250K cars, wearing their $200 Nikes, $400 designer denim, $50k watches and drinking their thousand dollar bottles of champagne, I was pleasantly surprised to see them pairing this with a $35 hat and it simply didn’t make sense. I discussed the idea with my partner Corey Roth and as soon as he heard it, we put the pedal to the metal and haven’t looked back. Melin is unique in a lot of ways but really the concept of truly luxury accessories is nothing new. We took inspiration from Rolex and Nixon watches in the way that the product is merchandised within our retail partners behind our locked glass “vault”. 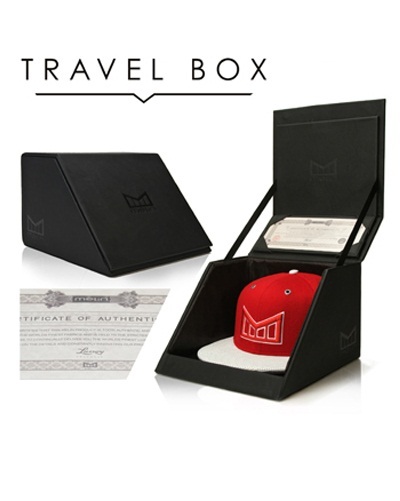 We took a page from Apple in the way that the product is packaged, so every melin hat comes in its own black leather travel box and in order to help prevent counterfeiting, each box has its hats certificate of authenticity mounted within it. We took the extra steps to custom brand all trims on our products all the way down to a custom molded snap back with our logo and slogan, “Because We Can” embossed in it. We dreamed up mounting diamonds in our products, so we did that in our season one style called “The Dynasty”, as well as a one off style called the Big Business”, recently for a celebrity client with almost 2 Carats of diamonds in it. We literally work with hundreds of fabric suppliers from all over the world so our fabrics and materials are all top shelf. We partnered with the Loro Piana cashmere mill out of Italy for the best cashmeres with the softest hand. We aligned ourselves with the same leather suppliers that make the interiors of the world’s best luxury vehicles. We utilize silky pig suedes and fish leathers. The team we have assembled here includes some of the action sports, graffiti, and couture fashion designers superstars, so our goal is to bring high fashion top quality products to the street and action sports customer and make our customers feel like a million bux when they are out rockin' their melin. That being said, our hats have an extra millimeter of padding in the sweatband to make them super comfy, and we line every hat with our moisture wicking performance lining to help keep those sweat stains away. The lining within every piece is meant to be a work of art and we have our company’s primary artist, J Cole collaborating with artists from all over to make the interiors of our hats really eclectic. We also pay a lot of attention to the quality control process. 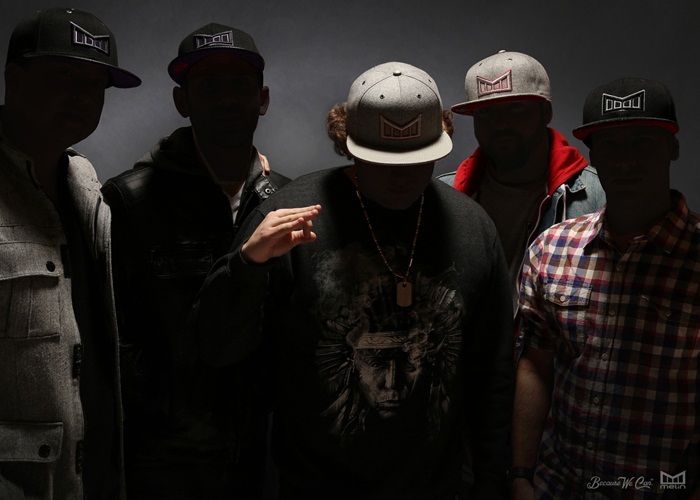 When we are commanding a price tag of $150-$1000 each for a melin hat, we knew that every piece had better be on point. In order to make sure that our customers get the best hat they have ever touched, we pay a bit more on the manufacturing side to have every piece hand checked with 32 points of inspection per hat, prior to giving it the melin stamp of approval. The company was founded on three principles and Corey and I try our hardest to instill them within our team and hope that they show in everything we put out; “Materials, Details, and Innovation”. How has it been preparing a product line for market – can you describe how the past year has been for you and the Melin team? The past year and even still now things are hectic for us. With using such crazy fabrics, we have encountered customs issues, manufacturing issues, knock off artists, last minute changes and overall it’s been a complete blast!!! Apparel is the best industry in the world, especially when you get to make the BEST stuff! Do you have any favorite products or designs that are included in the inaugural product release slated for September? In our debut collection I have a few different favorites. I love our staple hat called the “Arrival” in Battleship gray. It’s super clean and I run it almost every day because it goes with everything. I also love the “Campaign” because it features our slogan, “Because We Can” and that slogan has a lot of meaning behind it. Already along this journey, there have been a lot of haters, biters, doubters, or just downright negative people that we have encountered and as a team, we got sick of humoring these types of people. Based on wanting a fun, open minded, innovative and “push the limits” type of team, we have surrounded ourselves with positive thinkers whom are proud to look at each task as accomplishable no matter how tough or ridiculous. People may ask us why we spend so much time on each design or why we throw such an expensive price tag on our products, and after everything we have in to each piece from melin the answer to both of those questions is simply “Because We Can”. I am actually really excited to see how the world reacts to our products because there are a lot of different looks from us in season one and this was done on purpose so that we could rock a melin hat to the club, a 5 star restaurant, the homie’s wedding, or even a red carpet event. You recently settled into an office in Laguna Hills but have been developing the company for over a year – how have you managed to get to this point with no centralized location? Corey and I started working on this from our living rooms and I was living up in Westlake Village while he was still in San Diego. We would switch off driving to each other’s places after work and stay up all night writing and re-writing the business plan. We had some help on the business plan from our friends and Corey’s brother Alec so once that was completed; we went out to raise money. Initially we put the $40k that Corey and I scraped together in to the company and then raised money from friends and family. With their help, we were able to get our prototypes made and this was a monster of a task as Corey and I are STICKLERS on quality so it has taken about 7 rounds of sampling on most of our products to get them where they are today. With a thought out business plan, our prototypes, and a relentless drive to win, we were able to attract some of the action sports industries top executives to help us put the remaining tweaks on our infrastructure and raise the remaining money necessary to properly launch. We partnered with Mark Mastrandrea, whom is our VP of Marketing based on his success in multiple ventures prior and a long standing friendship. This guy will out work anyone, I guarantee it. We also brought on former Sanuk COO and President, John Vance as a board member and he has been instrumental in guiding us in the right direction. With a solid introduction from our old friend Eddie Wenrick we were able to attract ex CFO of Quiksilver International, Bert Fenenga to oversee our finances and we still lean on my buddies Jim Watson, BG, Dave Ridgeway, and Brian Jellig for advice whenever they have a moment to help. Settling in to our new offices in Laguna Hills has been a dream of mine since I was a kid and it’s been a slice of heaven to finally have our whole team under one roof and to be able to make moves quickly and efficiently. You are welcome to come by anytime as we are building the back warehouse in to a “History of hats” museum and we have some killer stuff in there. Agenda will be the first tradeshow for Melin and you are also planning to promote the brand around Huntington Beach during the US Open of Surf – what do you expect the reaction to be from the industry, retailers and consumers? We are expecting to get a lot of “oohs and ahhs” but we are definitely not stuck on the “my baby is the cutest” syndrome or anything like that. We know that we are asking our retailers to step it up and push their customers comfort zone up in price and we are excited to see if our predictions that “if you make it, they will come” will come true. Our products were not made for “the majority”. These hats are special and they will be sold through very select retailers across the world. We whole heartedly believe in what we have built here and know that no one has ever seen or felt anything like what we have done. There will be haters, there will be doubters, there will be “No’s” and that’s fine because we don’t want to work with those types anyways. We are VERY excited to partner up with the shop owners, buyers, and believers that appreciate attention to detail, top quality manufacturing, and the feeling you get when you put on something special. Who do you see as competition – other headwear brands, major apparel companies, accessories manufacturers? Overall, we don’t sweat the competition. Competition is healthy and good for everyone. There are plenty of heads out there and may the best hat win. How do you see your product evolving over time and where do you see room for improvement? Our plan is to introduce multiple fits in season two, similar to how designer denim has different fits and cuts, we want anyone to be able to wear a melin hat and look and feel their best in it. We have our deeper, “classic fit” debuting in season one in September, and we have already developed a more shallow, slimmer fit style we call the “horizon fit” and will look to continue to develop more blocks and fits until we have a good grip on it and have something that will fit everyone. We also have premium beanies in the works which we will be showing in Spring for a Fall/Holiday delivery in 2014. In a perfect world, how do you see the brand grow over in the coming months in anticipation of evolving over the next couple years? We hope to work very tightly with our select retail partners and grow the brand through the international marketplaces. The goal is to 100% own the premium headwear space and look to collaborate with some of our friends whom own other brands that we love, to help elevate their hat categories and align melin with likeminded people. What challenges do you see in the brand achieving its goals? The only challenges that are on our radar are the difficulties in working with some of the crazy fabrics and materials we intend to use, and staying full speed ahead, as we expect that once we begin to pave the way for this premium snap back category, that it will open a lot of eyes to an overlooked category. What has been the most rewarding aspect of launching a luxury headwear brand? Thank you for your time and thoughts Brian and Corey! 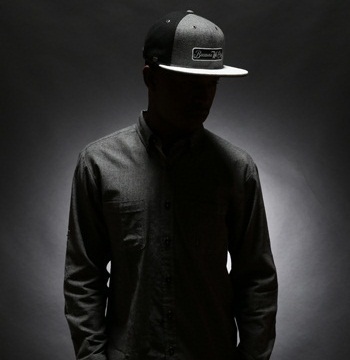 For more on Melin, head to melinbrand.com, and check them out on Facebook and Twitter.